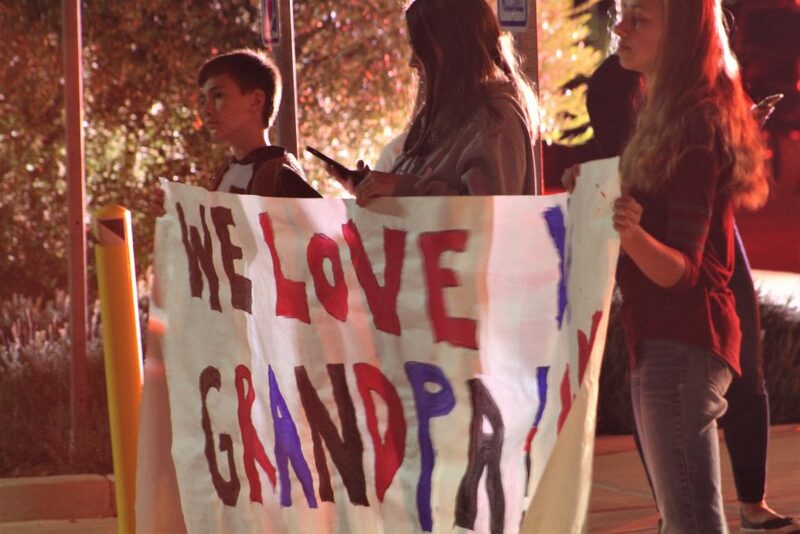 ST. GEORGE — When Vietnam combat veteran Henry Blair rolled into the parking lot of the Dixie Center St. George Saturday night through scores of U.S. flags waved on by family and friends, he finally received the welcome home he and his companions have deserved for decades. 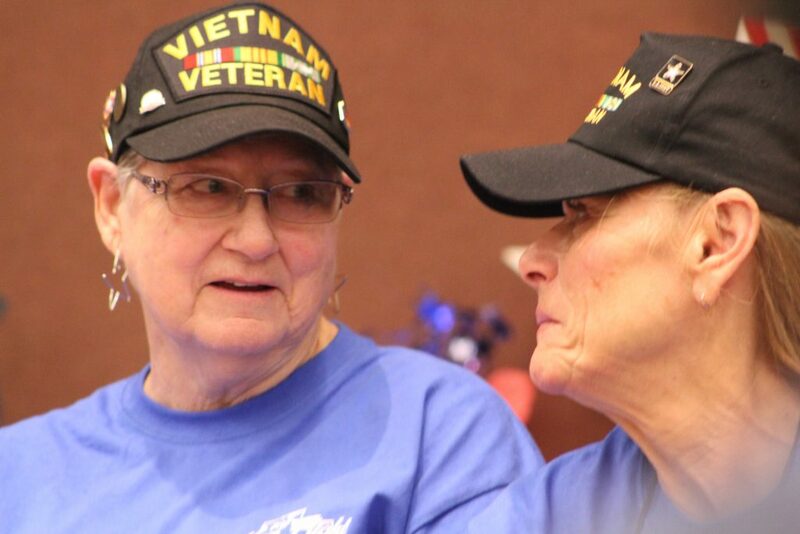 Blair, along with 23 other veterans of the Vietnam War and one Korean War veteran had just embarked on a three-day whirlwind tour of our nation’s capital as part of a Utah Honor Flight, and many were shocked at the patriotic welcome awaiting their return. Sitting next to his brother, who also served in Vietnam, Blair said he was fortunate to be sharing the moment with family. 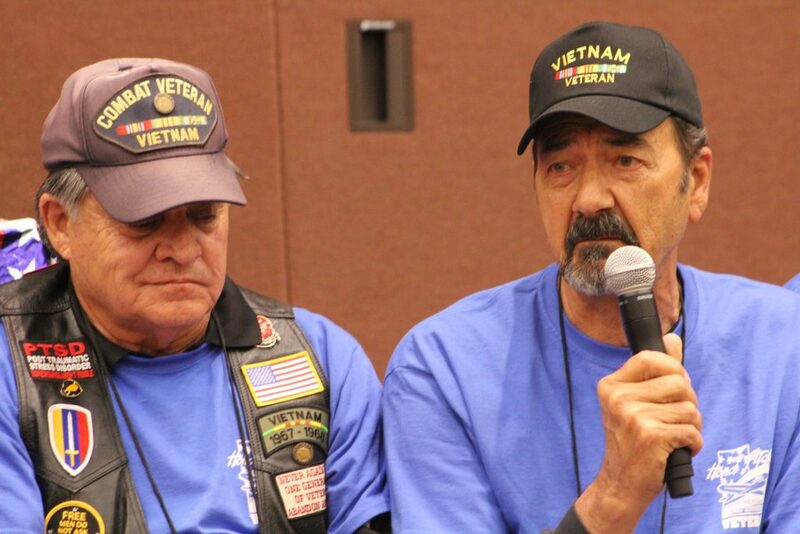 He said on the Vietnam Memorial there were several sets of brothers that did not make it home, and not enough is said about what families go through. 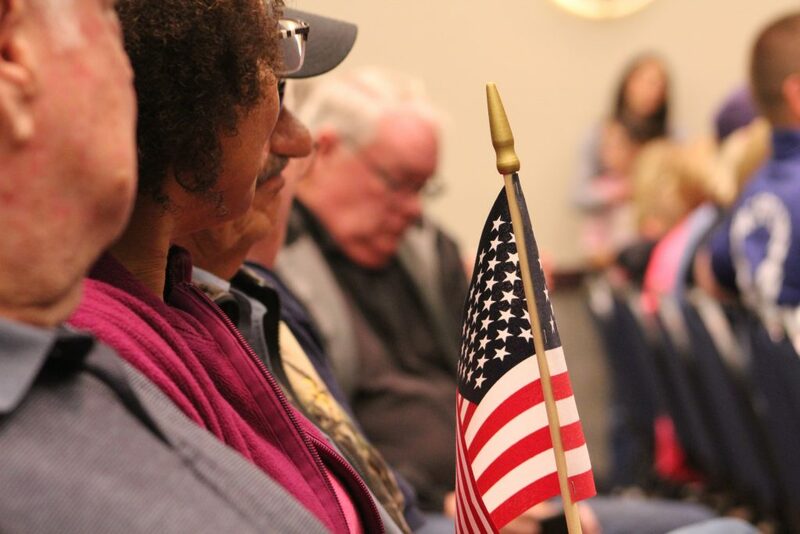 The Southern Utah group was joined by 22 veterans from the Wasatch Front when they departed Thursday on their trip to Washington D.C. While there, they were able to visit the National Mall, the Vietnam Veterans and Korean War Veterans memorials, a solemn wreath-laying ceremony at the National World War II Memorial and the Arlington National Cemetery. A scheduled trip to Fort McHenry had to be changed, but after a last-minute adjustment, everyone was able to visit the National Air and Space Museum as well. 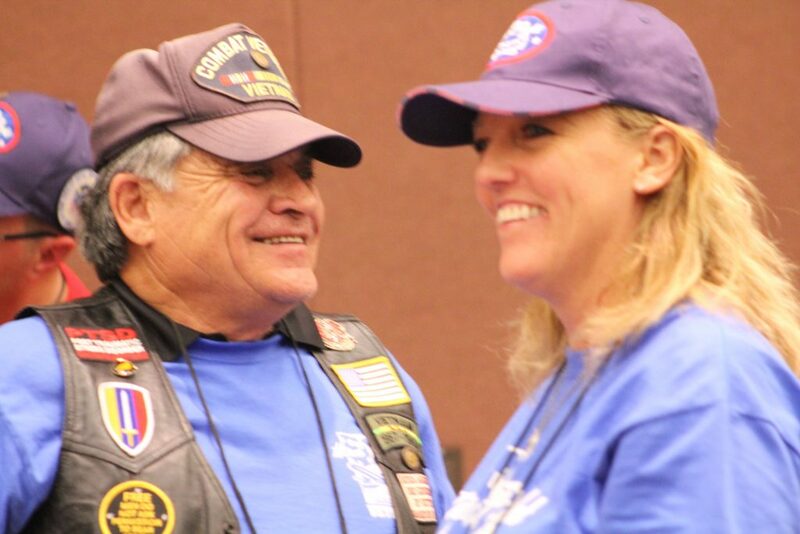 The veterans were escorted by guardians that are typically family members or volunteers of the program, and many participants believe it is a wonderful chance to share life experiences, hear cherished stories and have a once-in-a lifetime opportunity to bond with their loved ones. 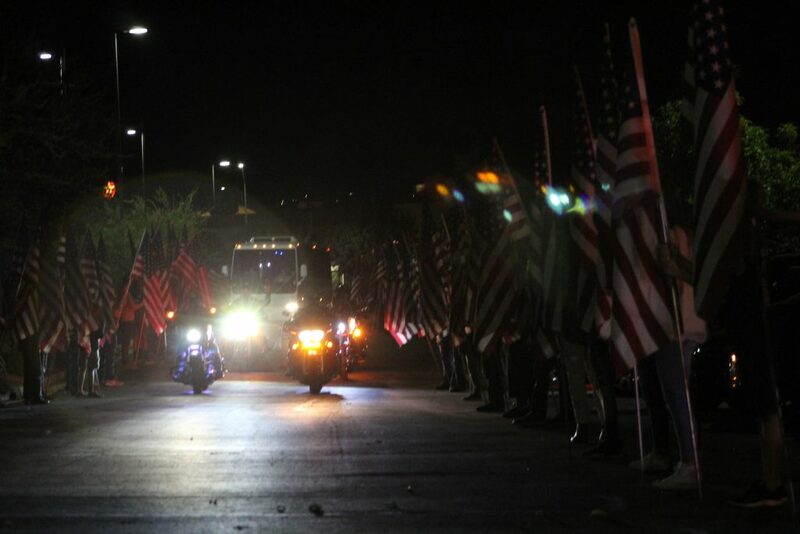 Led in by the Patriot Guard of motorcycle riders Saturday, they arrived just after dark to an enormous American flag waving above dozens of proud community supporters. There were cheering kids, respectful government figures, reverent bagpipes and hundreds of loving hugs – a far cry from what many of them experienced when coming home from war. 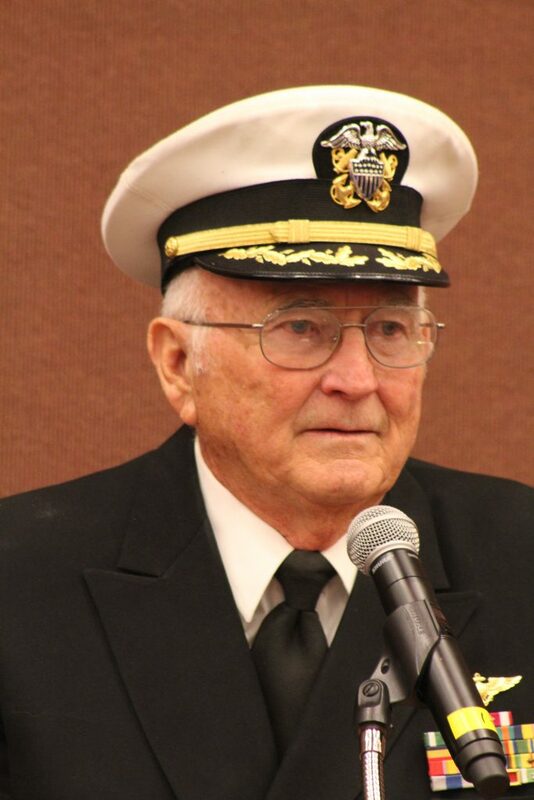 Retired Navy Capt. Ron Lewis experienced first-hand the brutal harshness and indignities many soldiers suffered as they returned from the battlefield. When he arrived home in 1968 after nine months on duty, he was spit on by two men at the San Francisco International Airport. There were plenty of joyous smiles at the homecoming, but it was also visibly difficult for many to hold back their tears at the ceremony. 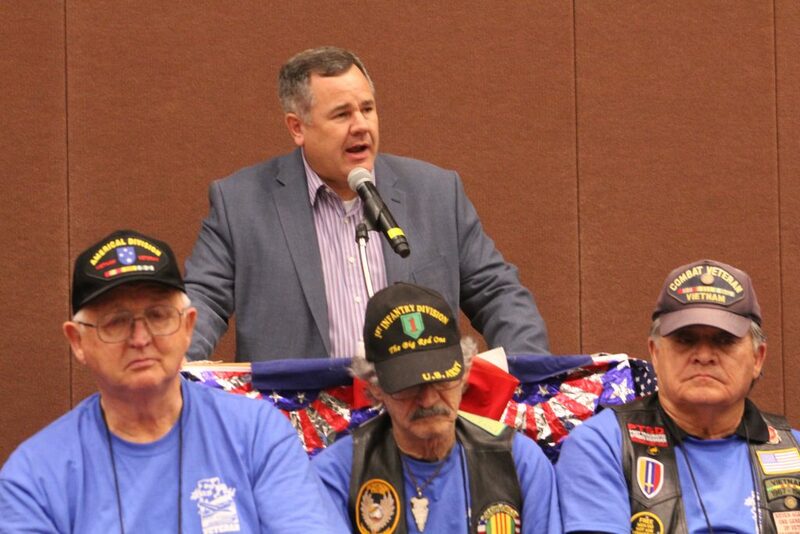 The knowledge of the great sacrifice it takes for anyone to enlist for military service weighed heavy on the hearts of some attendees, including St. George Mayor Jon Pike. 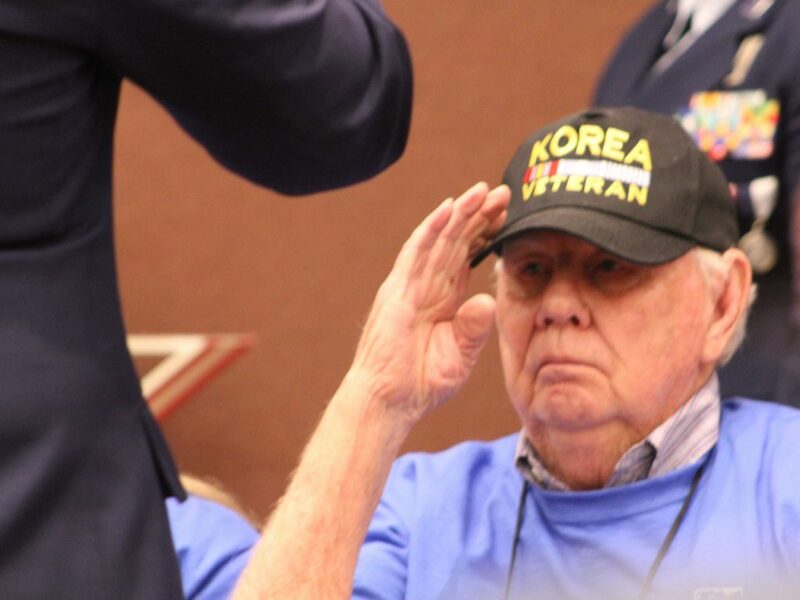 Pike, who also had friends on the flight, said the event is among his favorite things to do as mayor, and he thanked everyone for making the honor flights a priority in the community for veterans. The ceremony was especially poignant, as just earlier in the day, Pike had received word that his friend, North Ogden Mayor Brent Taylor, had been killed while on duty serving in Afghanistan. 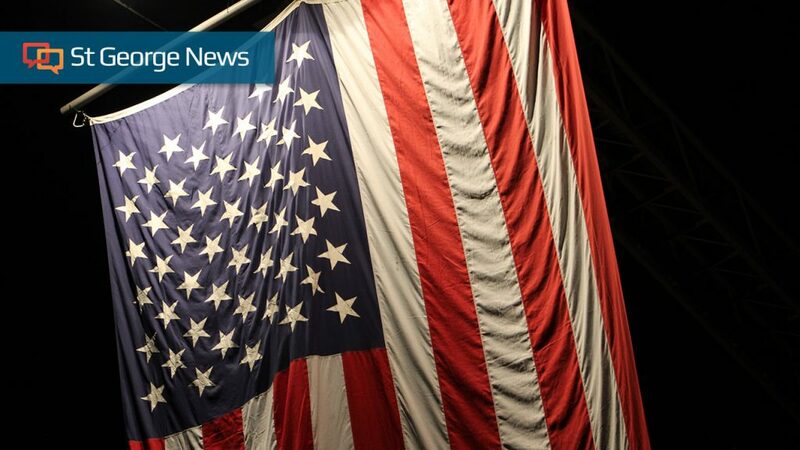 The father of seven, a member of the Utah National Guard, had been deployed away from his family since January. 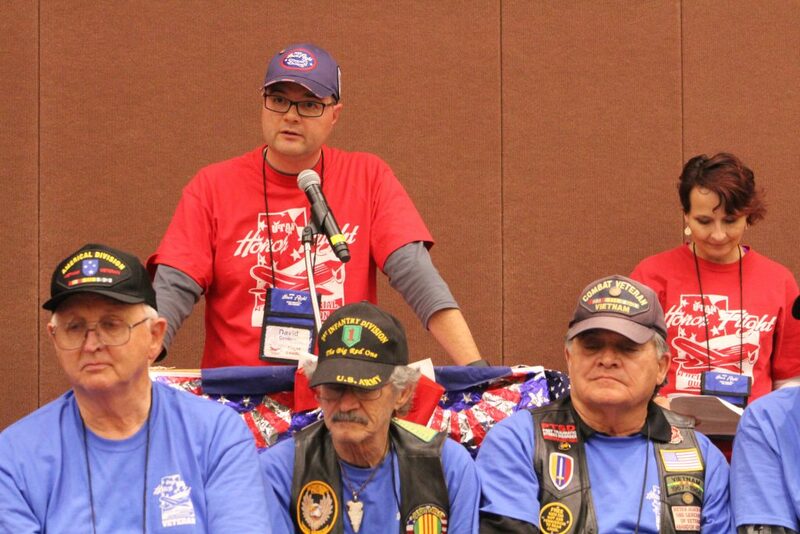 He has given that ultimate sacrifice as each of these veterans sitting in front of us today were willing to do. 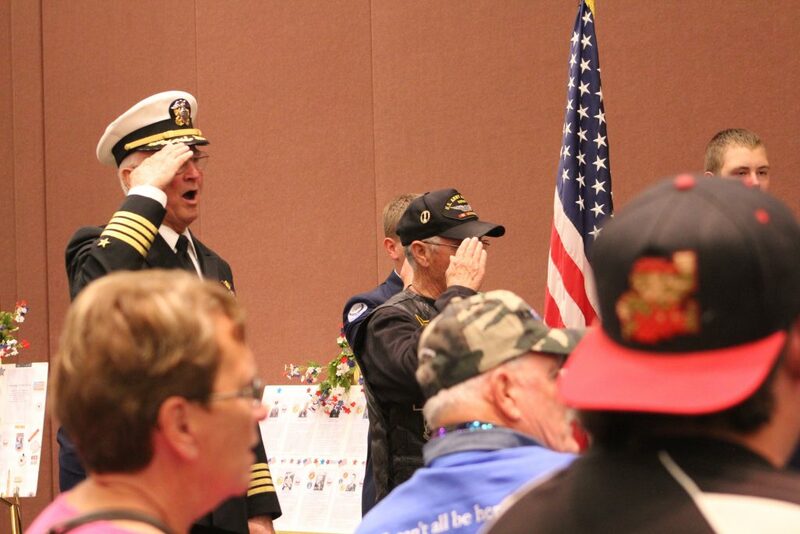 What a wealth of experience – of class – of patriotism you add to our community and to those communities around us. You make us better. Thank you for your service then. Thank you for your service today. 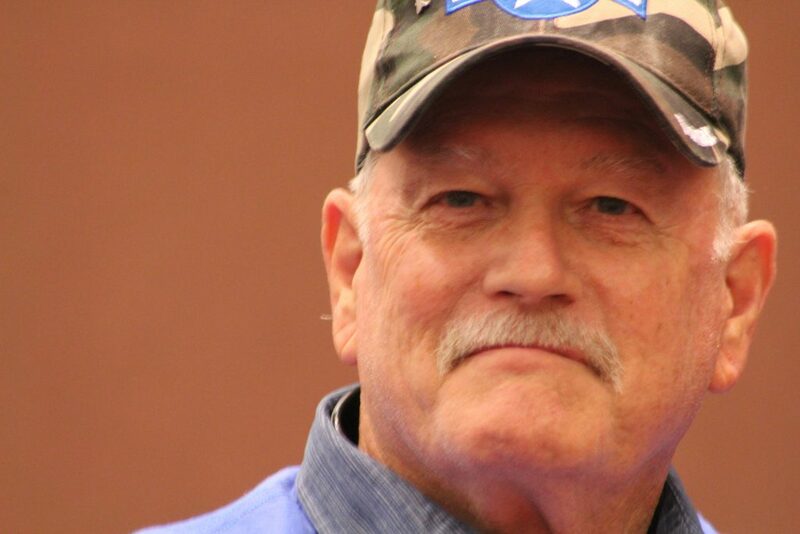 A GoFundme account has been set up in mayor Taylor’s honor. 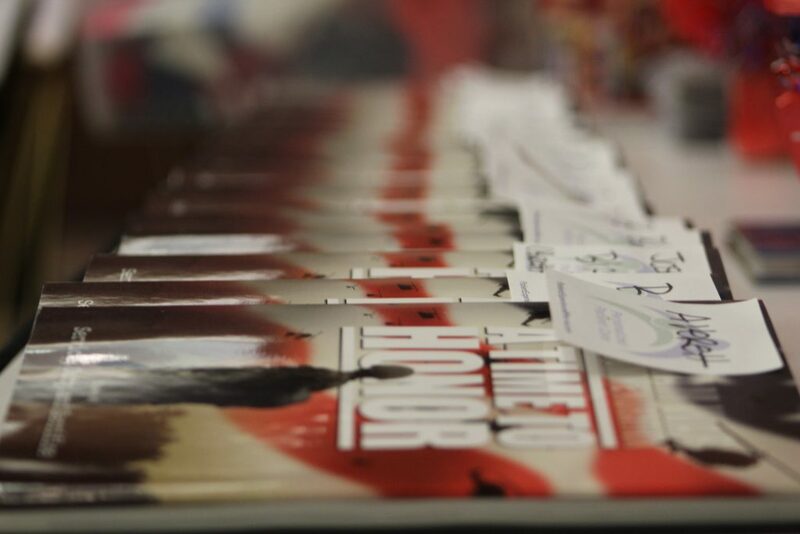 Although the outpouring of love and support everywhere they traveled was what many said they appreciated the most, each veteran also received an American flag and copy of a book honoring their service presented with a salute by Air Force junior ROTC cadets. 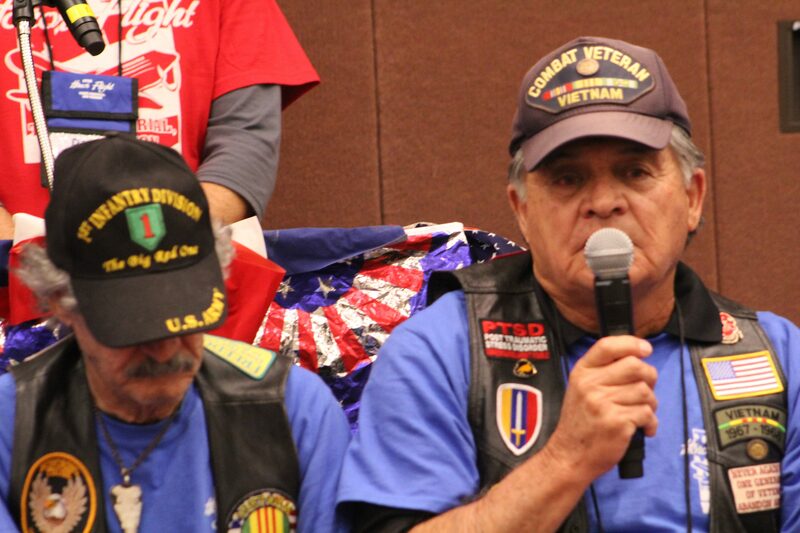 Utah Honor Flight board member David Cordero, who was also a volunteer for this flight, thanked everyone and implored them to help others sign up for the program, even if they have to fill out the form themselves. “It will really open your heart,” Cordero said. He said the veterans had a great time and that he thinks their most ardent wish right now is that other veterans can also take part in the experience. 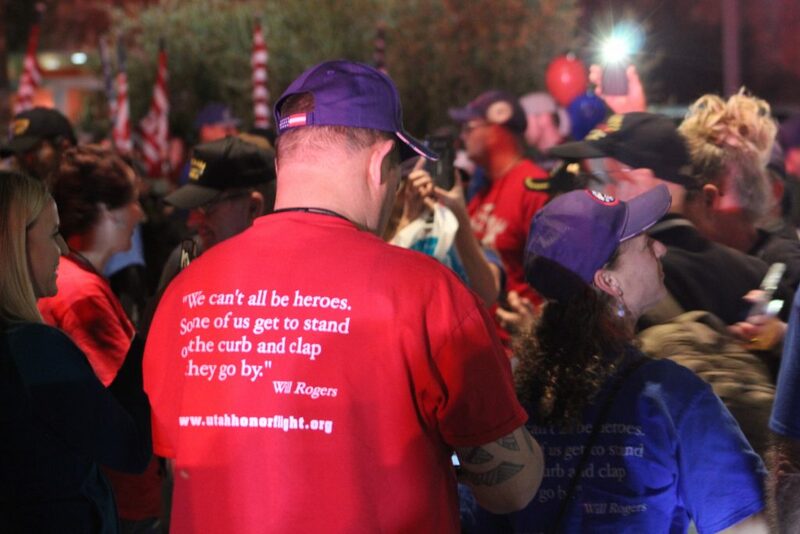 One veteran echoed this sentiment, saying his only wish was that everyone would go home and get the word out about this great program. He heard about it from a close friend and said the best part was being able to share the time with his son. 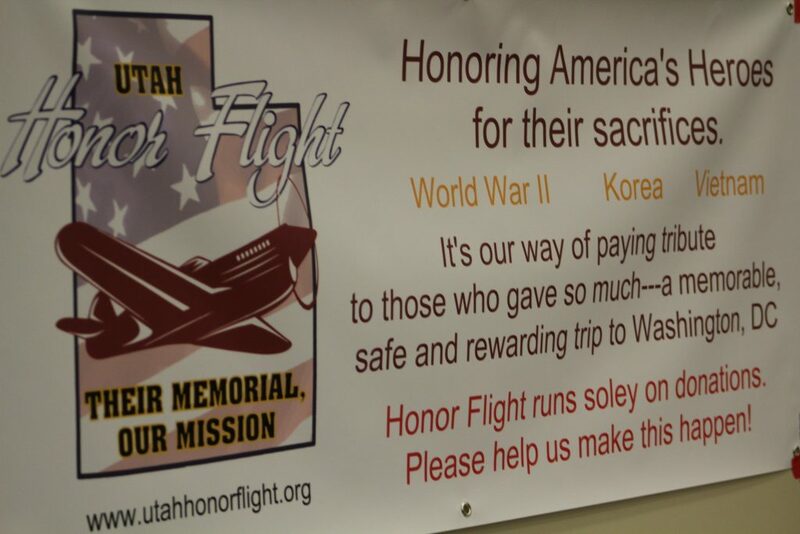 All expenses for the veterans are funded solely by donations from individuals and private companies, and this trip was made possible with the help of Nate Wade Subaru, Utah Honor Flight chairman Mike Turner said in a press release before the event. 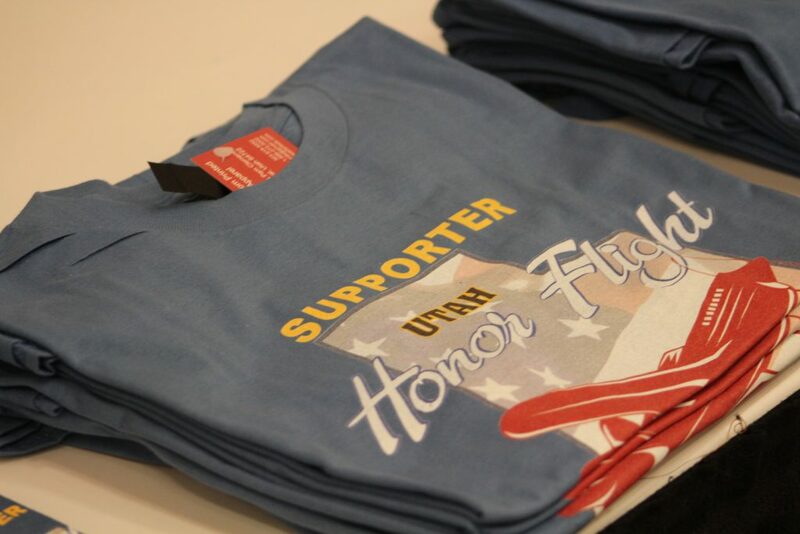 Those interested in contributing to Utah Honor Flight can send donations to Utah Honor Flight, P.O. Box 42, Richfield, UT 84701 or call 435-272-0254. Veterans, guardians and interested volunteers may apply at their website or find out more information on their Facebook page. 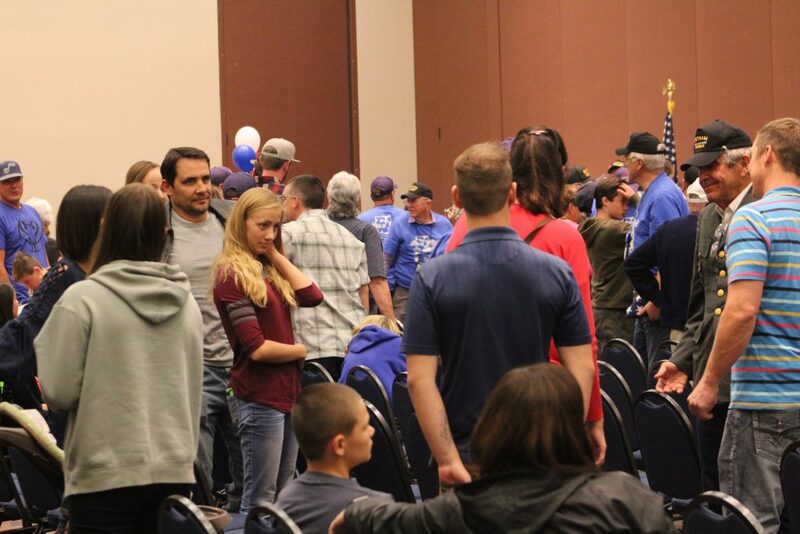 Volunteers make last minute arrangements at ceremony honoring veterans returning home from a Utah Honor Flight to Washington D.C., St. George, Utah, Nov. 3, 2018 | Photo by Andrew Pinckney, St. George News. 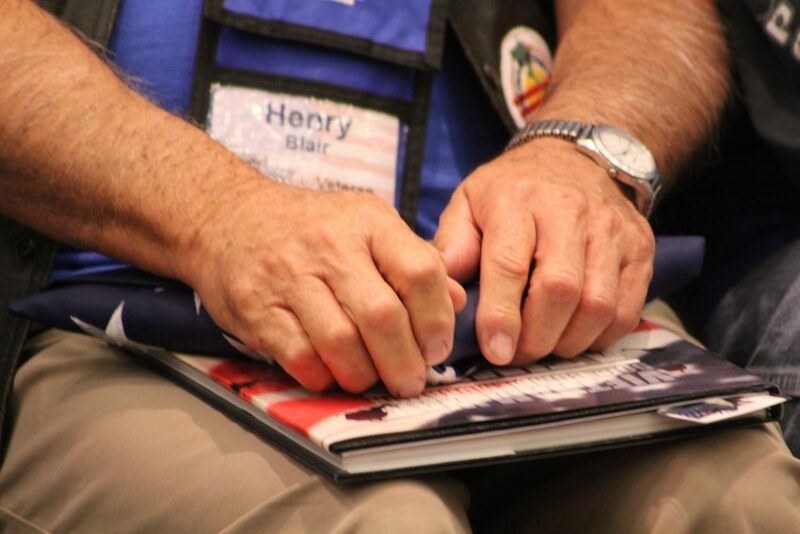 Vietnam veteran Henry Blair prepares to discuss his time as an enlistee and the Utah Honor Flight experience, St. George, Utah, Nov. 3, 2018 | Photo by Andrew Pinckney. St. George News. 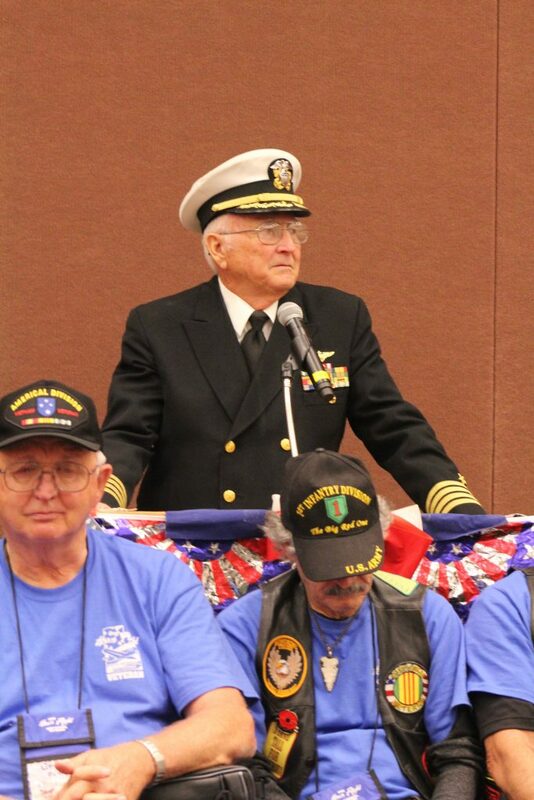 Retired Navy Capt. 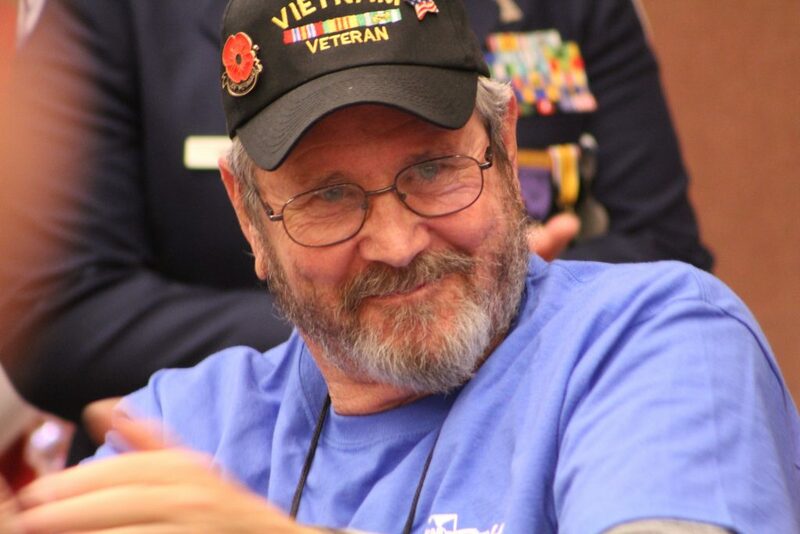 Ron Lewis, one of Utah Honor Flight's supporters, was proud to welcome home his fellow veterans, St. George, Utah, Nov. 3, 2018 | Photo by Andrew Pinckney, St. George News.